Kalpataru Immensa is a premium residential complex at Kolshet Road, Thane West. Immensa is a benchmark residential society covering well-designed 1200 residential apartments in the configuration of 8 towers of 1BHK, 2BHK and 3BHK units. Average home sizes range between 680 and 1677/2032 sq. ft.at this project and it consists of 1250 units in all.These apartments are up for sale in the price range of Rs.53 lakhs and Rs.1.97crore. Immensa Towers is a new residential project at Thane West. Kalpataru Immensa Thane West is an imposing and majestic residential project with 8 high rise towersto be developed right away.Immensaat Kolshet Road upcoming undertaking offers the depiction of 1 BHK, 2 BHK and 3 BHK segments in the coming time lap. ImmensaKolshet Road residential variants are planned to develop in the sizes vary from 680 square feet - 1677 square feet. The well-ventilated residential apartments are blessed with abundant fresh air and natural sunlight, thus creating a lively and energetic home ambiance. Immensa Kolshet road Thane is expected to develop as a posh residential community in hub of outrageous real estate development.The quality of construction is flawless with the usage of the finest material. The KalpataruImmensa location offers several benefits to residents. The project lies just 4 kilometres away from the Eastern Express Highway while the Thane railway station is located approximately 3.5 kilometres away from it. The project is also well connected to the National Highways 4 and 3. The western suburbs can be accessed within 25-35 minutes while Andheri is accessible within 40 minutes. The Santacruz-Chembur Link Road is accessible from the project and offers great connectivity to the Airport as well. The Bandra-Kurla Complex lies just 35 minutes away from the project while Vashi and Powai are located around 35 and 20 minutes away from it respectively. The Eastern Freeway offers great connectivity to SoBo while the AiroliMindspace business hub lies just 20 minutes away from the project. The project is also well linked to the Ghodbunder Road and Old Agra Road. 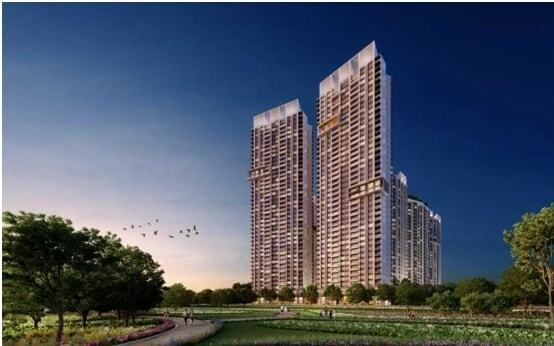 Kalpataru Immensa is situated at Kolshet Road, Thane (West) Mumbai. Immensa is been crafted to perfection these upscale Apartments / Flats offers covered car parking, covered two wheeler parking and amenities like Gym,Community Hall,Kids Play Area,Security,Rain Water Harvesting,Club House, Swimming Pool, FengShui/Vastu,Indoor Games,Badminton Court,Jacuzzi,Fire Safety and many others. Schools: - Balloon Kids Pre-School, Universal High School, Hiranandani Foundation School & several others. Parks:-Thane Grand Central park, ShriSai Property Consultant. Bus Stops: - Bayer, Sandoz Baug Bus Stop, Novaritis& several others. Shopping Malls: - High Street Mall, Boulevard Mall. Hospitals: - Doshi Children's Hospital, Metropol Multispecialty Hospital, Hiranandani Hospital & several others. Restaurants: - Domino’s Pizza, Pizza hut, FBK-Food By the Kilo.